Ann Arbor has outstanding libraries, museums and schools and Universities. Children and adults of any age are challenged to learn and explore in a place full of culture and opportunity. To invoke balance there is also plenty to do outdoors – skating, nature areas, and a community of avid runners and cyclists enjoy Ann Arbor. There are over 120 parks in the area and plenty of access to the Huron River. The Huron River promotes several activities including paddle boating, canoeing, fishing and kayaking. Downtown Ann Arbor promotes safety for pedestrians and cyclists alike – promoting a cycling lane throughout their beautiful downtown area. Ann Arbor is an incredibly coveted place to live, work and play! People rarely move out of the area and lifelong Ann Arbor residents sometimes move from area to area to change the pace and the culture they are surrounded by. Ann Arbor boasts beautiful homes with character, charm and versatility. Sometimes homes have interesting lots, sometimes they have rolling hills and beautiful gardens and there are also lots of attractive condo communities to choose from. Are you looking to buy or sell and Ann Arbor home? If so please contact me Allison@AllisonMovesYou.com or fill out my form for a pre-listing package. Who are you and what do you like to do? No matter what…Ann Arbor is your home. Culture is at your fingertips with the many art galleries and shows, museums and places offering live entertainment. You can walk down the street and experience a magnitude of options to challenge your mind and delight your senses. Write your novel in a sidewalk coffee shop or explore a world unknown in one of the independent book stores. Everything is available to you at all times – people different from you and from all walks of life, yet everyone joins together into one eclectic group of patrons. In support of many small, independent and flagship stores – you have the likes of The Chop House, Logan Restaurant, Café Zola and Zingermans mixed in with Coldstone Creamery and Starbucks. Something for everyone – purchase your Ann Arbor home or Condo today and be a part of this progressive culture and society. This is the Place You Want to Call Home! 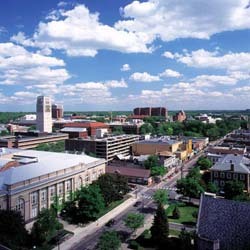 Ann Arbor, Michigan remains a part of many “Top 10” lists including, “Best Place to Live” “Best Downtown Area” and “Best College Town.” It is an amazing place to live due to its many unique and traditional characteristics. There is a wonderful vibe and you feel content walking amongst many people on their own quest. Obviously when you think of Ann Arbor, the University of Michigan is synonymous with the city. Every year the University of Michigan hosts the “Big House, Big Heart” 5k run in addition to many other activities that inspire the city. The University of Michigan’s medical footprint is large, reaching through the city, across the state, Midwest, country and WORLD with its research. Ann Arbor boasts an AMAZING calendar of events. Rarely does a weekend go by throughout the year where there isn’t something culturally inspiring happening. Various exhibits, concerts, festivals and collections stop for a viewing in Ann Arbor. One particularly invigorating event is the unparalleled Ann Arbor Art Fair, which is a “can’t miss” event in Ann Arbor, MI. At this event you can spend four days exploring crafts, visual art displays, experiments and products that grace the streets of Downtown Ann Arbor. With over 600,000 guests in attendance, the festival fills the city with residents and visitors alike. The more, the merrier, right? Although the festival is amazing, you are just as easily able to secure a small, cozy booth at one of Ann Arbor’s smaller bar venues and enjoy the sounds of an emerging or upcoming artist. There is something for everyone. It costs the same amount to hire any Realtor, right? Ann Arbor is a city Allison, has loved, explored, enjoyed and invested in for the past 20 years. The real estate opportunities, beautiful homes, cultured city and eclectic art and restaurants ABOUND. Do not hire a Realtor without a love for this city, hire someone who believes in it, loves it, and enjoys its every amenity. After all, Allison possesses the Real Estate Skills to give you the BEST experience throughout your transaction, but she also boasts a love and knowledge for the city.